Over the few years, I have been on a life changing journey to write my first global cookbook. Blessed with the most incredible friends from all over the world, many of these friends have agreed to join me on this adventurous journey as I write their stories and recipes for the world to enjoy. Sohiela Mirsharif is one of those beautiful friends. Her family came from Iran many years ago, and they brought with them a rich cultural heritage that has influenced my love for the Persian culture in countless ways. The thing I love most about featuring friends and their recipes from around the globe in my book are the lessons I learn from each featured guest. 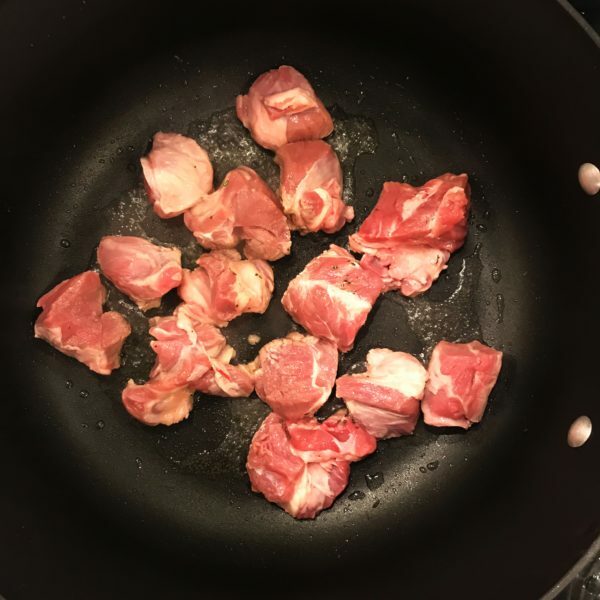 It’s amazing to me how each person has their own unique cooking tips and tricks that make their food uniquely enjoyable. I found this to be especially true when I tasted her Khoresht Karafs recipe for the very first time. 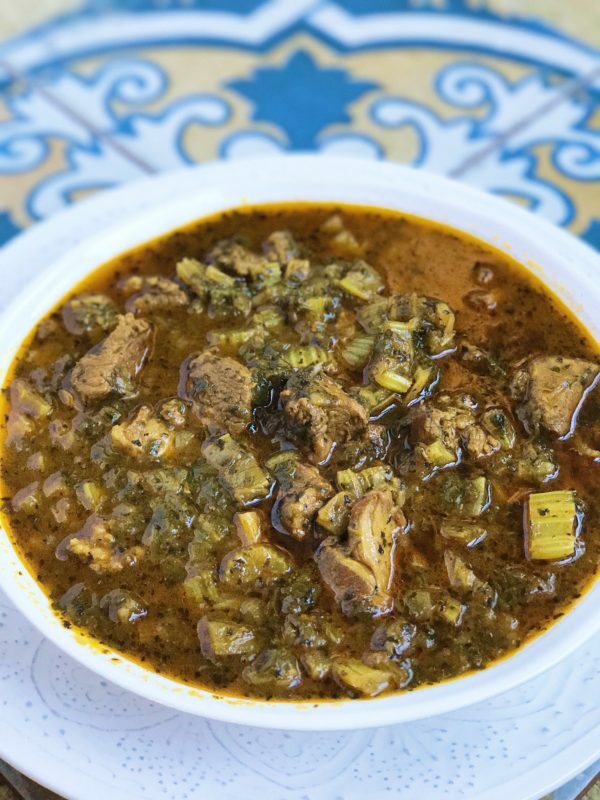 Khoresht Karafs is a Persian Celery Stew that I learned to make from Sohiela. 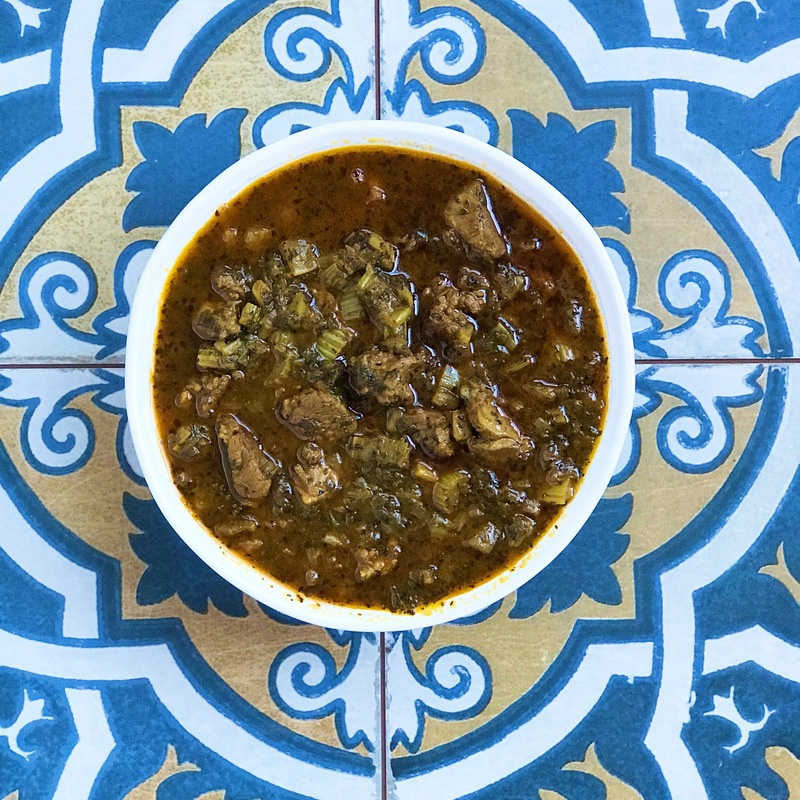 It’s a wonderful dish suffused with aromatic flavor including, lamb or beef, onions, mint, parsley, a touch of tomato paste and a few distinct spices. The ingredients slow cook together to create an eruption of flavors that convince you that just one serving isn’t nearly enough. I have always wondered why Sohiela’s food had a distinct uniqueness in its taste. There is always something spectacular about her food, and when I asked her what her secret was to making her recipes so delicious, her answer surprised me. Unlike most recipes, where you toss in all the ingredients at once and then let them cook together, Sohiela’s technique was completely different. She prepares each ingredient separately then adds a touch of salt and pepper just before adding them to the stew. This way, each ingredient has a chance to cook in its own flavor before they are affected by the rest of the dish. I had never heard of this technique before, but when I tried it in this recipe, she was exactly right. The flavor profile and richness of the dish stood out, unlike anything I have cooked before. I consider myself to be blessed and fortunate to have friends from all over the world. Each culture has a beautiful story to tell that can enrich our own lives and make us better people, if we are willing listen. When we allow ourselves to see the beauty and worth of an individual – someone who’s learning and life experience has created them to be authentically unique, just like a butterfly who’s flight takes them to unexpected places, we have the privilege of stepping out of our world and into theirs. To me, that’s where love lives. I asked Sohiela, “What should this dish taste like”? She smiled and said, “A recipe is perfect when you taste it and can’t tell one ingredient from the other. When all you know about the dish is that it’s delicious, that’s when you know it’s right”. 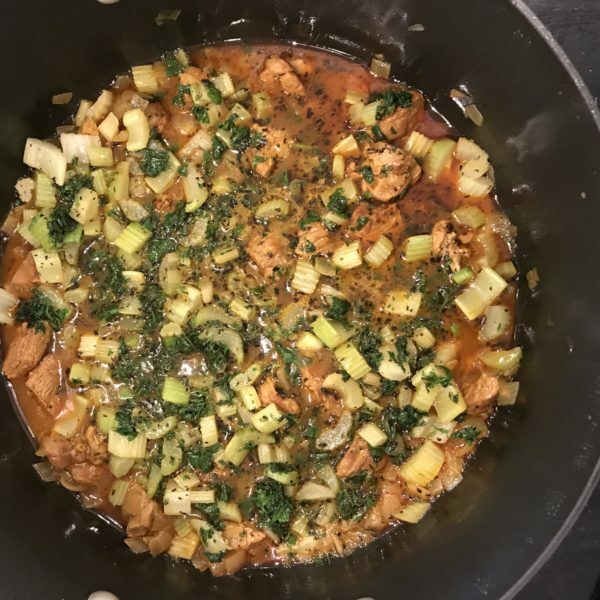 Thank you, Sohiela for this delightful recipe and sharing a piece of your beautiful culture with me! You'll definitely enjoy this Khoresht Karafs Recipe. 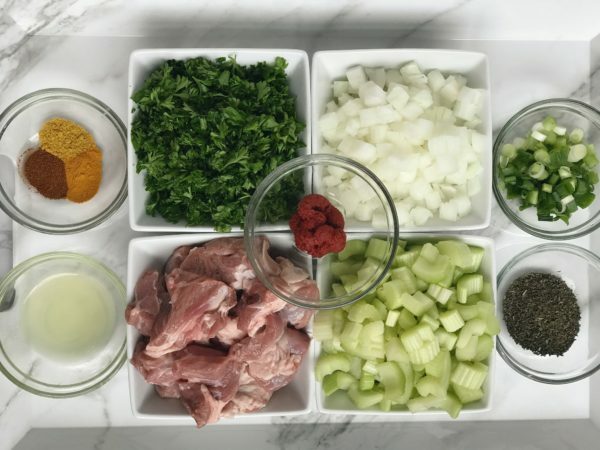 Simple to prepare and delicious - this Persian Celery Stew recipe can't be missed! Measure and prepare ingredients ahead of time. In Dutch oven or non-stick pot, heat 2 tablespoons oil over medium heat. 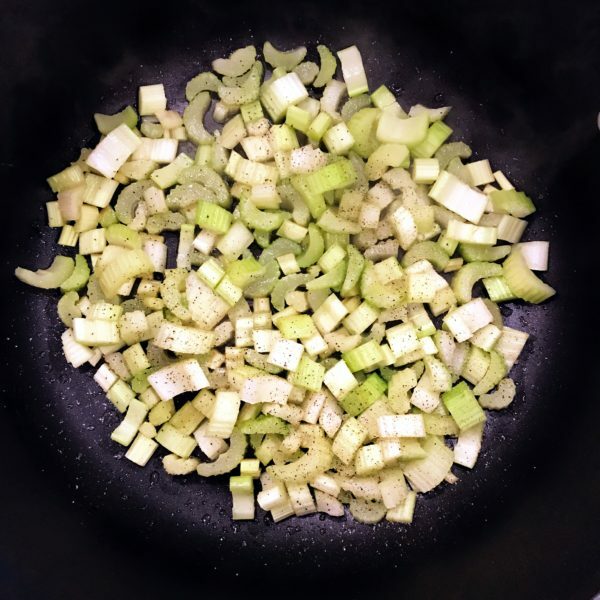 Add celery, sprinkle with 1/4-teaspoon salt and 1/4-teaspoon pepper and sauté until celery starts to become translucent. Transfer to bowl and set aside. 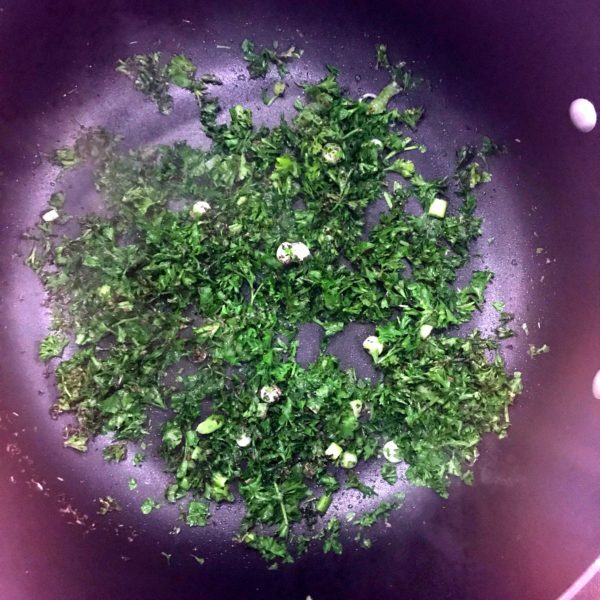 Heat 1 tablespoon oil in pot, add parsley, dried mint, and scallions sautéing 1 minute or until parsley begins to darken slightly. Lightly sprinkle with 1/4-teaspoon salt and 1/4-teaspoon pepper, remove from heat and add to celery. Continue using the same pot for each step. Heat 2 tablespoon oil, add meat and brown on all sides. Transfer to a separate bowl and set aside. Add 1 tablespoon oil and sauté onions until lightly translucent. Transfer meat back into pot with onions, add tomato paste, turmeric, curry, paprika, 1/4-teaspoon salt, and 1/4-teaspoon pepper. 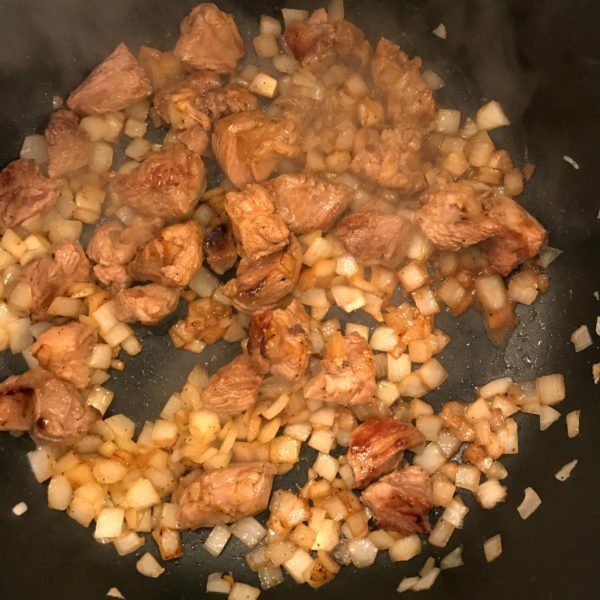 Stir until meat and onions are evenly coated. Pour 3 cups boiling water in over meat, stir and bring to a boil. Cover, reduce heat to medium-low an simmer for 30 minutes. Add celery mixture, stirring to combine. Cover and cook on medium heat for 1 hour or until meat and celery are tender. Add remaining 2 cups boiling water to keep the stew saucy. Stir in 1/2-teaspoon lemon juice, 1/2-teaspoon salt, and simmer for 10 minutes. Add more lemon juice, salt and pepper to taste. Serve hot with basmati rice. 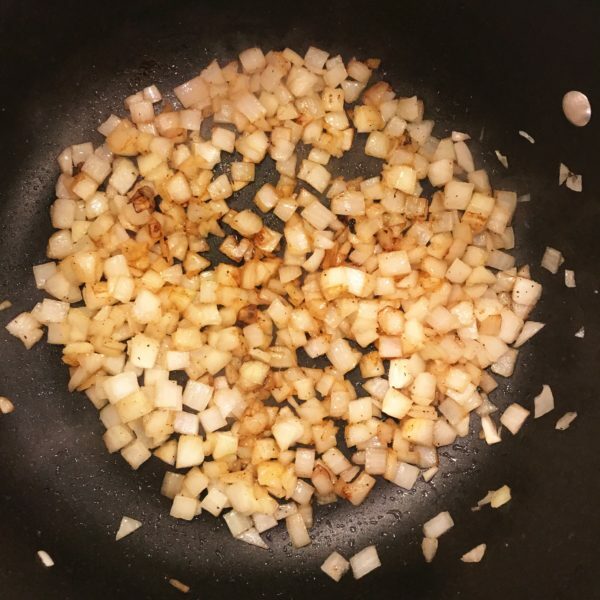 Sautéing them separately will give a better balance of flavor to the dish. Always add the seasoning at the end of cooking each ingredient to allow the ingredient time to cook in its own flavor. Thank you for your kind comment! 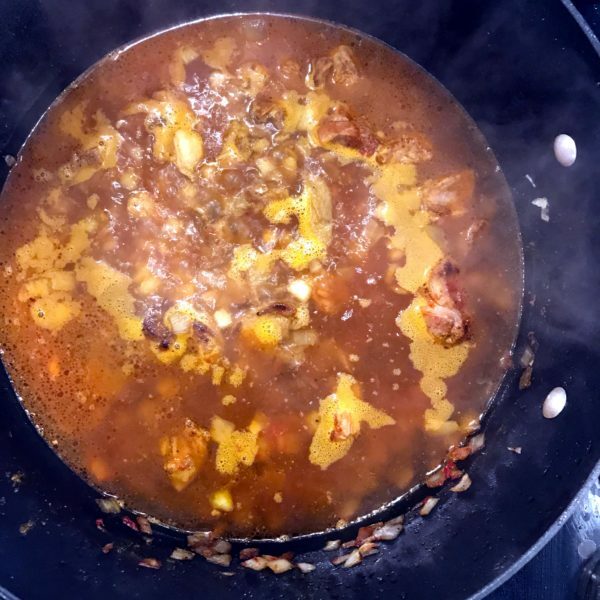 I am so glad you tried Sohiela’s Khoresht Karafs recipe and enjoyed it! I love this recipe too. Food nostalgia, especially when it’s a beautiful memory of our mothers cooking is always the best part of cooking. Thanks for visiting my blog. I do too! It’s one of my favorite Persian dishes! Enjoy!